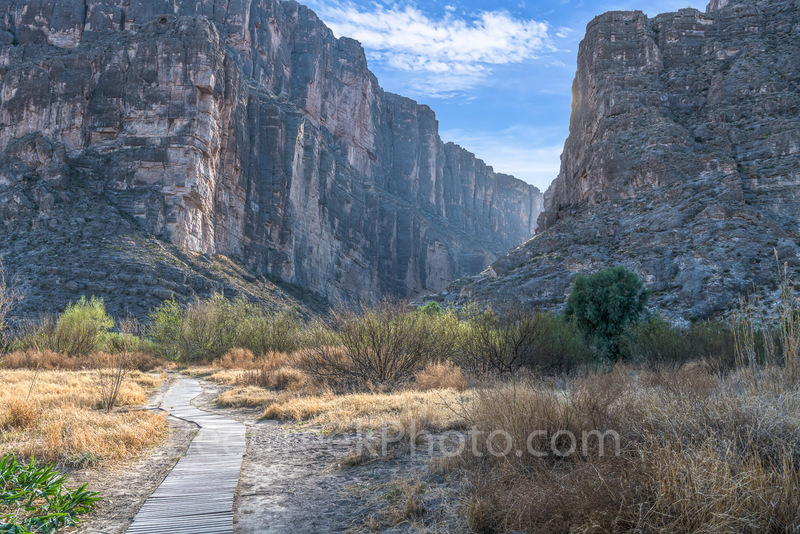 Santa Elena Canyon Path - Santa Elena Canyon in Big Bend National Park along the trail as the path leads to the canyon walls. It a short walk to reach the Rio Grande river but it takes a bit more to climb the steep walls of the canyon but it is only moderately difficult. It is a top location to visit for those who come to Big Bend National Park every year. The cliffs rise up 1500 feet from the Rio Grande river goes right down the middle with one side on the US and the other side of the canyon is on Mexico side. Photo © copyright by Bee Creek Photography - Tod Grubbs / Cynthia Hestand.